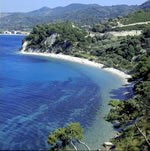 Rent a Car in Samos Greece, car hire in Samos Greece by Universal Rent-a-Car. 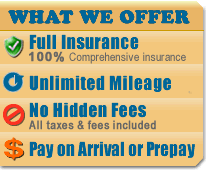 Find the lowest prices on car rentals in Greece, online reservations for budget economy travel to Greece and the Greek islands, Crete, Santorini, Corfu, Mykonos, Athens, Thessaloniki, Rhodes, Kos, Rhodes, Halkidiki, and Zakynthos, mietwagen in Kreta Griechenland, autovermietung, location de voitures. Samos is located on the southern part of the North-Eastern Aegean Islands, near the Turkish coast, from which it is separated by the narrow Mykale Straits. The island of Samos is known for its thick forests and vegetation, mountainous landscapes, sandy beaches and crystal clear waters, plethora of archaeological sites, busy beach resorts and very active night life. Despite being a popular travel destination it has managed to maintain its unique character and will give the visitor an experience they will never forget.